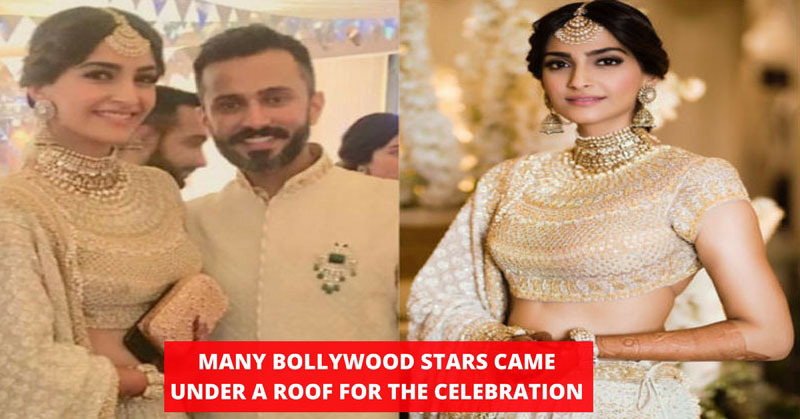 Yesterday, Sonam Kapoor and Anand Ahuja’s Mehandi and sangeet ceremony was held. A lot of Bollywood stars came under one roof to celebrate the event and they eventually turned it into a star-studded one. From Varun Dhawan to Jacqueline Fernandez, everyone danced and added to the pleasantness of the event. 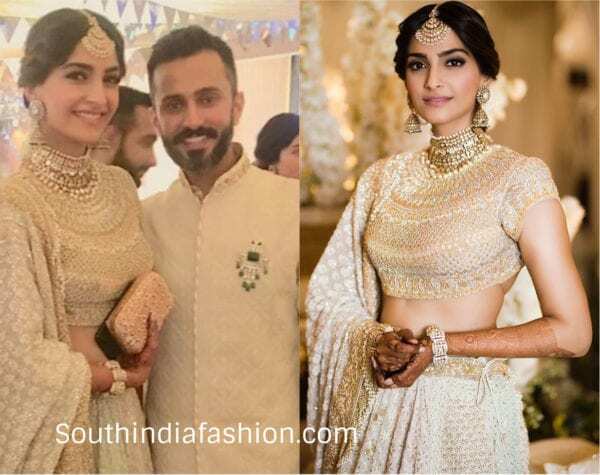 Let us take a look at some of the photos and videos of Sonam’s Sangeet ceremony. Sonam Kapoor was looking stunning in the white dress. She event kicked off with Punjabi traditional Chooda Ceremony. Sonam Kapoor tried to drop her kaleera on Jhanvi Kapoor but the kaleera did not fell. It is believed that if the kaleera falls on a girls head, she will get married soon. Anil Kapoor was super excited and he could not stop himself from doing the Bhangra. No doubt, he made the event a remarkable one. In a video, he was seen doing the bhangra with Karan Johar and everyone standing on the circle was rooting for them. The craze of Bhangra took over everyone and everyone and the bride and groom were also starting tapping their feet. Sonam Kapoor and Anand Ahuja did the bhangra. Later on, everyone joined them and went wild in the party. #VD #JACKIE @varundvn @jacquelinef143 at #sangeetceremony #sonamkishaadi #BFF #wedding #sonamkapoor #anandahuja #jacquelinefernandez #VarunDhawan Itu yg d belakang jackie ,arjun kapoor bukan ya ? Varun Dhawan and Jacqueline Fernandez are two of the celebs who left no opportunity to enjoy the event. Dhawan and Jacqueline were seen having fun together. Later Varun joined Karisma Kapoor and her daughter. 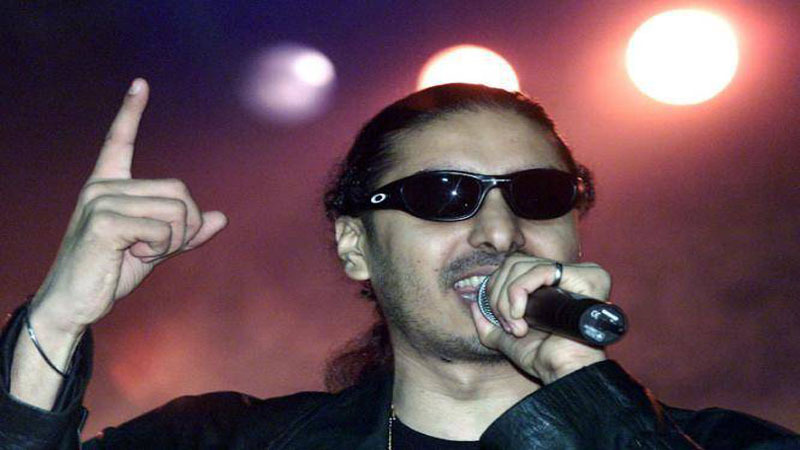 The popular singer, Sukhbir performed in the Sangeet ceremony of Sonam Kapoor and he ignited the crowd with his melodious as well as energetic voice. @sonamkapoor’s cousin @shanayakapoor02’s look gives the ‘Shades Of White’ theme an angelic touch. Clearly, good looks and taste are in their #genes! We can’t stop gazing at how this mom-daughter duo's lehengas are making #EverydayPhenomenal at #SonamKiShaadi 😍 Tag your #mom for some mother-daughter style goals! The event was an amazing one and the Bollywood stars amplified the allure of the party. What do you say about the event? Share with us.